Hire a private plane for a charter flight to Winston-Salem, a city in Forsyth county and informally part of the Piedmont Triad Region in North Carolina. 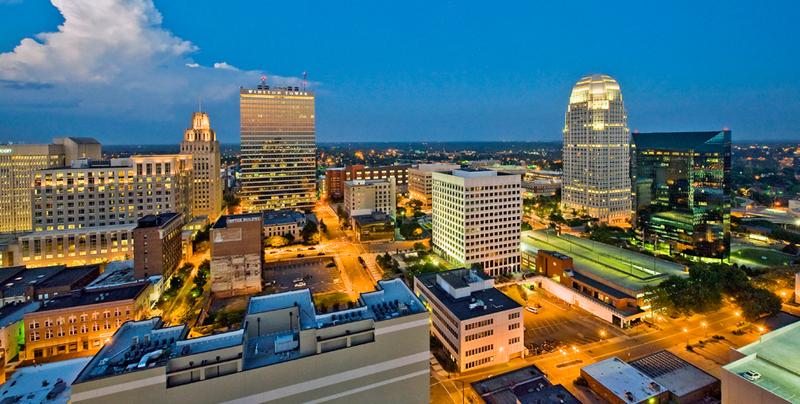 Winston-Salem is centrally located in the state and is geographically bounded by the Blue Ridge Mountains to the west, making it a popular destination for leisure charter flights for vacations in the Appalachian Mountains, as well as business jet arrivals just outside of Greensboro. Air Charter Advisors arranges on-demand jet charter flights direct to/from Winston-Salem using Smith Reynolds Airport (INT), a popular two-runway jet port and home of the Winston-Salem Airshow held annually in September. Enjoy instant access to thousands of private planes, the highest levels of service in the industry, and all-inclusive, zero-commitment quotes for all of your upcoming flights. Our private jet charter brokers arrange private flights to/from any destination around the globe, and our air charter services can have you in the sky in as little as 4 hours. Choose from thousands of private jets and turboprops for your flight, ranging from Piper’s and Cessna’s, to Gulfstream’s, Challenger’s, and VIP/corporate airliners. Luxury VIP concierge services can be arranged to complement your private flight, our services are available to you 24 hours a day for all your aviation needs. ACA has nearly a decade of experience locating and dispatching private jet charters for individuals and organizations ranging in size, having worked with affluent travelers, organizations with less than 5 employees, to top Fortune 500 companies around the world. Our team is available every hour of the day for ASAP and last minute air charters, and we offer competitively priced, reliable air charter planes through our approved vendor network of over 5,000 private aircraft worldwide. Additional aviation services include medical/air ambulance flights, VIP service, jet card memberships, aircraft sales/acquisitions, private plane management, and air cargo. Call us at 1-888-987-5387 to review all of the aircraft and airport options for your flight, or e-mail us with your information or any questions you may have regarding your upcoming Winston-Salem private jet charter. Clients using our private jet charter service can fly directly to/from Winston-Salem using Smith Reynolds Airport (INT), a dual-runway general aviation airport located just minutes from the city center in Forsyth County, NC. The region’s main commercial hub, Piedmont Triad Intl (GSO) is located 13 nautical miles to the east, while Davidson County 20 miles to the south in Lexington offers a 5,004′ runway for private jet traffic. All three airports offer private FBO terminals. Charter a flight to Winston-Salem, the county seat of Forsyth County, the second largest municipality in the Piedmont Triad region, and the fifth largest city in North Carolina. The city is centrally located in relation to North Carolina’s major metropolitan centers, including Greensboro, Charlotte, Raleigh Asheville, and Wilmington, making it a popular area for business and luxury aviation. Locals tend to plainly refer to the city as “Winston”, but the city is home to several nicknames, including “Twin City” for its dual heritage; “City of the Arts and Innovation” for its contributions to fine arts, theater, and technological research; is also known as “Camel City” in honor of its history in the tobacco industry, most notably R. J. Reynolds Tobacco Company and his brand of Camel cigarettes. Another nickname, “the Dash,” was derived from the hyphen in the city’s name; although it’s a hyphen and not a dash, it was still adopted by the city’s minor league baseball team, the Winston-Salem Dash. Several corporate headquarters are located in Winston-Salem, including BB&T (Branch Banking and Trust Company), Hanes, Krispy Kreme Doughnuts, Blue Rhino, Lowes Foods Stores, and Reynolds American (parent company of R. J. Reynolds Tobacco), and major companies like Pepsi have offices in the city. CBS MoneyWatch named the city among the 10 best places to retire in the U.S. in 2012, and today, the city is distancing itself from its industrial past as a textile and tobacco manufacturer, moving towards nanotech, high-tech and bio-tech fields, as well as medical research. 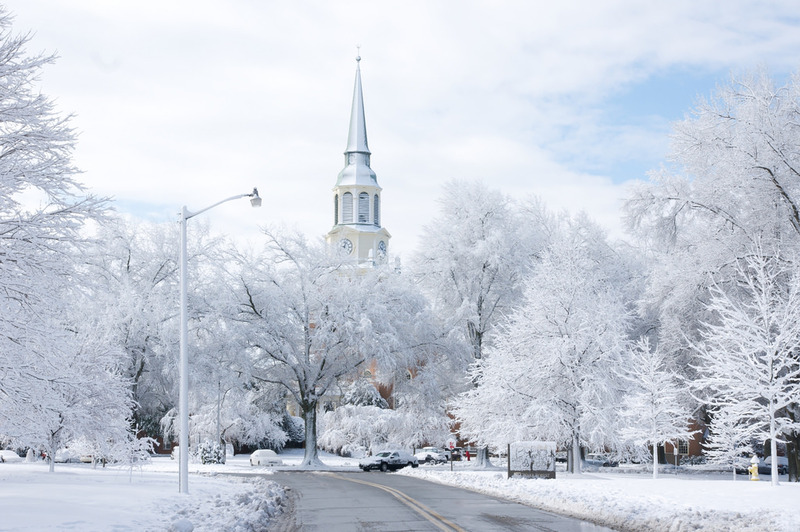 Wake Forest University, one of the top universities along the Atlantic Coast and has produced 15 Rhodes Scholars, along with several other notable graduates. Arrange your charter flight to Winston-Salem with ACA and gain access to thousands of Wyvern-certified aircraft for your flight. Every plane we arrange is operated by FAR Part 135 or 121 (or foreign equivalent) air carriers, flown by two veteran pilots with a wealth of experience piloting the aircraft you’re hiring. Our Winston-Salem Jet Charter brokers will provide you with a variety of aircraft options based on the goals and budget of your flight, allowing you to choose between a cost-effective piston or turbo-prop aircraft, the most luxurious, stylish business jet on the market, or somewhere in between. Check out our Aircraft Gallery for more details on all of the aircraft available for your trip; if you don’t see your preferred aircraft listed below, speak to one of our brokers and they will locate one for you. There are 9 additional airports available for private charter flights between 20-35 miles from Winston-Salem in the area commonly known as the Piedmont Triad, allowing clients to arrive in the nearby NC cities of Asheboro, Burlington, Reidsville, and Salisbury, while Blue Ridge in Virginia is a popular choice for leisure flights. Request a Quote or give us a call at 1-888-987-5387 to speak with one of our agents for your next luxury vacation, business trip, or special event in Winston-Salem and surrounding areas of North Carolina’s Piedmont Triad region.